Heat oven to 350°F. Line 12-inch pizza pan with foil; grease foil with shortening. Break cookie dough into 2-inch pieces; arrange evenly in pan. With floured fingers, press to form crust. Up the fear factor, and pipe the frosting in a spider web design. 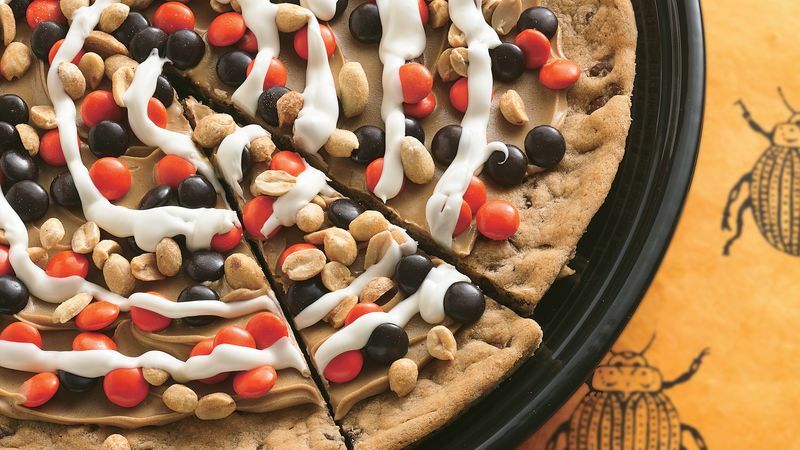 Use your favorite variety of cookie dough as the base.